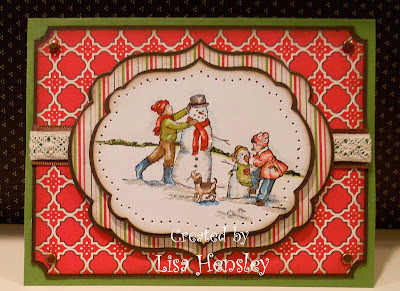 I worked this up for the Catalog Focus (sewing) for this months' Splitcoast Stampers' Creative Crew challenges. In keeping with the sewing theme, I used the Festive paper-piercing pack on the main image. I was inspired to use Winter Memories after seeing it being used on my friend, Kathy Wayson, Facebook page -- Kathy's Stampaholics. Thanks for the inspiration, Kathy! !